Let it be known that I'm a total sucker for a good plaid shirt. They are so versatile and last a LONG time! But, how do you wear said plaid shirt or flannel without looking like your grandpa? 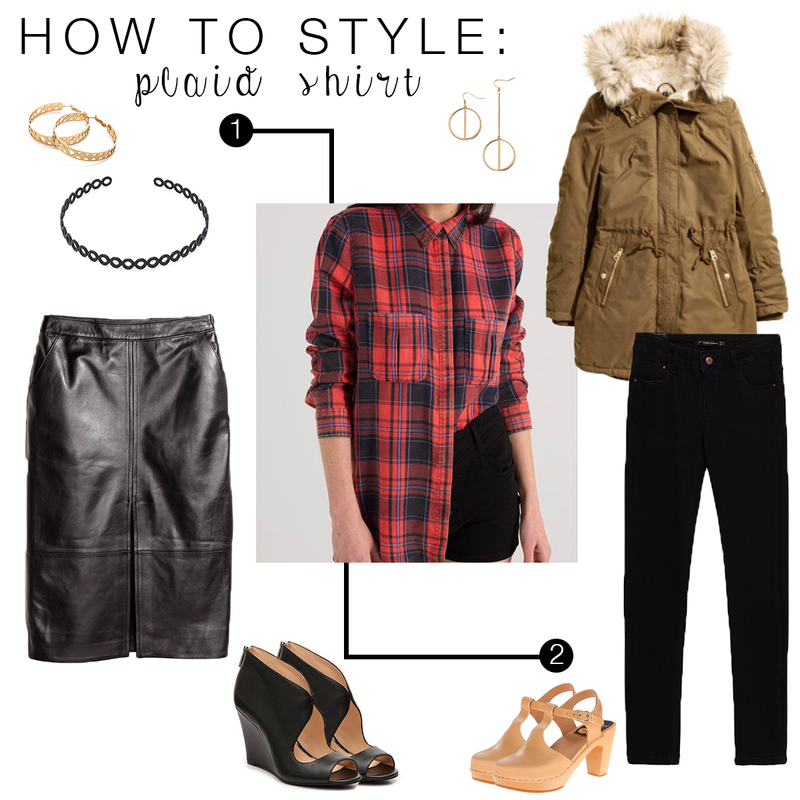 Plaid definitely gets a bad wrap when it comes to easy styling. I've found them to be an incredibly essential piece in my closet, especially when needing to add quick color or patterns to an outfit. My FAVORITE plaid's (and button-ups in general) are from Cotton On. They seem to be the perfect weight, shape and length - which is tricky to find. I'm going to be 100% honest here, since this fashion photography + styling is totally a learning process, this is not by favorite outfit in the Plaid Shirt Series. There are a million things I would change about this outfit, but let's focus on the positive. First off, I love the leather jacket. 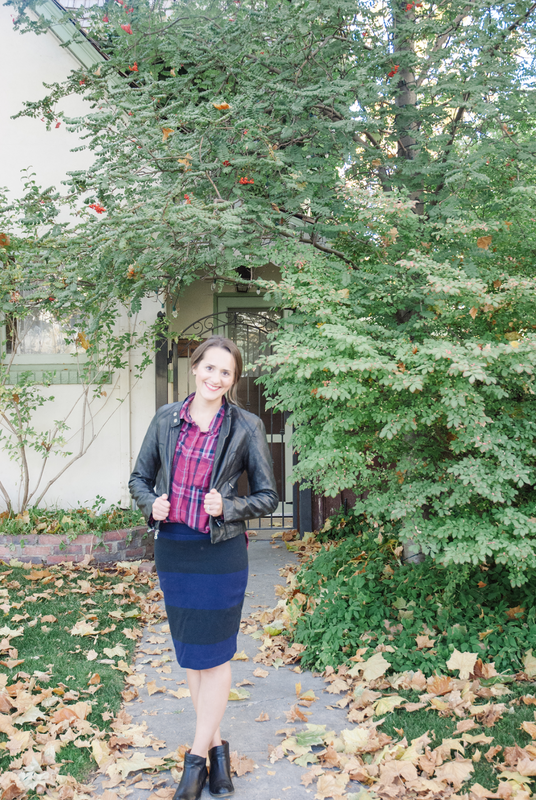 The combo of leather + plaid has me totally swooning. Secondly, I love the combo of plaid + wide stripes. Patterns are always fun to play with. Thirdly, I love the continuity between the black leather jacket + black leather boots. I'm still left with something "missing" here, although I struggle pinpointing what it is. Again, we live and we learn. I've spent some time pondering this outfit. You know, what is missing?? So, I've decided on a couple alternatives that would have been preferred. Happiest last day of November, friends! Bring on Christmas... boooyaaaa!